If you want to renew books or other borrowed items, have your library card barcode and PIN (usually the last 4 digits of your phone number) handy. Click here to access our catalog. Then click on My Account to sign in. When you're done, you can click on the Search tab to find more stuff to take out! On Friday, May 9, the library will close for a full day to upgrade all our computer systems. We apologize for the inconvenience and appreciate your patience. We will reopen on Saturday, May 10 for our usual hours, 9-5. The Willingboro Public Library welcomes you to its Internet Web Site. 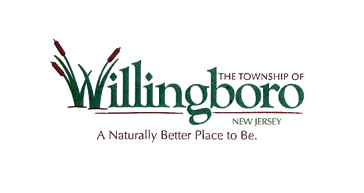 The mission of the Willingboro Public Library is to provide a physical and virtual gateway to the tools and opportunities that transform, empower and entertain individuals and the community. Willingboro Public Library - Where you find what you want. Willingboro Public Library staff will provide a welcoming, courteous, respectful customer service experience for all library users. Willingboro Public Library staff will answer questions and solve problems fully, or provide a referral to the person or agency who will. We provide handicapped access and assistance. Ask about how our electric cart can help you traverse our 42,000 square foot building. We have magnifiers to help you read our books and magazines. Can we get it for you? You will always hear these words from our staff if the book or other item you need is not in our collection. Through interlibrary loan, we can obtain almost anything from libraries all over New Jersey and even from other states. Ask at the reference desk. WPL on your phone, try it! You can renew items, place and cancel holds, check your account status, search for books and movies, download ebooks and audios, get directions to the library or send us email from your smartphone. Willingboro Public Library has been named an NJ Works Job Seeker Destintion Library by the NJ State Library. Please visit the reference desk for your job seeking needs. The Library will not share your email address with any other organization. You may unsubscribe at any time using the "unsubscribe" link. Website implementation and hosting by Joomla Connections.